The Chinese Lion dance is a cultural dance that has been tied to Chinese Wushu from the beginning. Many of the Lion Dance moves are from foundational Wushu movements. 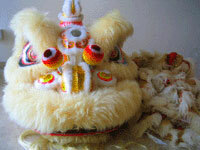 The Chinese Lion Dance, consists of a one or more lions, along with drums, cymbals and gongs. People all around Toronto and GTA have requested CWF to perform lion dances for formal events, wedding receptions, business openings, Chinese New Year festivals (Spring Festival), and various corporate events to name a few. The CWF Toronto lion Dance troupe have become a favorite to community, including the TDSB, Local Members of Parliment, and Police Organizations. 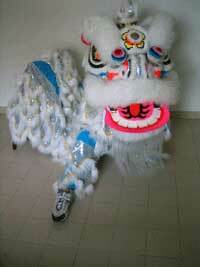 Contact Sifu Nelson Chan for details on how to bring the Chinese Lion Dance Troupe to your next event.